Fernando J. Kim, MD, FACS, graduated from the University of São Paolo School of Medicine in São Paolo, Brazil in 1989. Following medical school, Dr. Kim spent three 1/2 years as a post-doctoral Trauma research fellow at the University of Colorado Health Sciences Center in 1994 and finished his internship in general surgery in 1995. He completed the General Surgery and Urology training at Loyola University, Stritch School of Medicine in 2000. Upon completion of his residency training in 2000, Dr. Kim became the Chief of Urology Denver Health Medical Center and joined the faculty of the Division of Urology/Department of Surgery at the University of Colorado Health Sciences Assistant Professor before his completion of his fellowship in endourology and laparoscopic Oncology at the prestigious James Buchanan Brady Urological Institute at the Johns Hopkins University School of Medicine. Dr. Kim’s clinical interests are in the areas of laparoscopic and minimally invasive surgery of the adrenal gland, kidney, prostate and bladder, renal transplantation, renovascular surgery, endourology (stone disease), urologic trauma, prostate and renal disease. He is currently the International Editor of The International Brazilian Journal of Urology and Associate Editor of the Global Public Health Medical Journal, CO Editor of the Minimally Invasive Surgical Journal, and Board-member of the Journal of Trauma and Acute Critical Care and Canadian Journal of Urology. He is a member of a number of medical societies including the Society of Urologic Oncology, Society of American Gastrointestinal and Endoscopic Surgeons, the American College of Surgeons, the American Urological Society, and the Endourology Society. 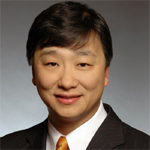 Dr. Kim serves as a board member of several committees including the Men’s Health Clinic of Denver Health Medical Center, Colorado Urology Residents Educational Fund (UCD), Prostate Cancer Biorepository Committee (UCD) as well as the chairman of the Task Force Against Prostate Cancer. Dr. Kim has published extensively and his works include to date 148 articles, 244 presentations, videos and published abstracts and has also attended more than 50 invited lectureships. Dr. Kim is also a primary investigator/co-PI of several grants, including studies of renal ischemia-reperfusion injury, development of minimally invasive surgical techniques, and prostate cancer prevention campaign in minority communites. Brazilian Armed Forces – The Friendship Bridge Award- 2012. US News -Top Doctor – 2010-12. Key note Speaker for the “100 years celebration of the Italian Urological Society”, September 25, 2008, Rome, Italy. Nominated for the “AUA Gold Cystoscope Award” by the South Central Section of the American Urological Association, September 19, 2008. Honorary Professorship of the “Universitta Tor Vergatta” 2008, Rome, Italy. Honorary Member of the Korean Urological Association 2007, Seoul, South Korea. Honorary Member of the Korean Endo-Urological Association 2007, Seoul, South Korea. American Urological Association Leadership Program-July 2006-2007. Boss of The Year-2006, Denver Health Medical Center. SWOG (Southwestern Oncology Group) Young Investigators Award , Dallas, Texas, September 28-29, 2005.